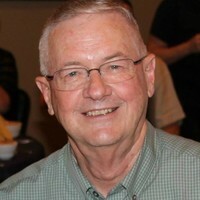 Pastor Jim started as an engineering major at Arizona State University. After sensing God's leadership he transferred to Grand Canyon College to pursue a B.A. in religion. Upon graduation, he went on to Southwestern Baptist Theological Seminary to continue studies to prepare him to be a pastor. Before becoming our pastor in 2005, Jim pastored a church in Citrus Heights, CA and four churches around Arizona in Tucson, Winslow, Glendale and Lake Havasu City. He also served as Northern Regional Director for Arizona Baptist Children's Services. His preaching and teaching are Biblical with practical application. He has an easy-going nature, a caring personality and a sense of humor that helps him stay optimistic and be an encourager to others. Our pastor is bi-vocational. He drives a bus for Flagstaff Unified School District. This helps him to understand the challenges we face daily and minister more effectively to us. Pastor Jim's wife Pam, of 45 years, went to be with the Lord in August 2016 after a courageous battle with a terminal illness. Jim and Pam are natives of Arizona with two grown children, 7 grandchildren and two great-grandchildren. Pastor Jim is leading a Bible study in the Book of James.